Wedding Ideas – What Made Our 2013 Love List! The Veranda hosts close to 50 weddings each year and we love recognizing “stand out” moments of the season to share with our fans! We’ve created an annual tradition of sharing what we’ve coined as our Love List for each wedding season and being right around Valentine’s Day, we thought it was only fitting to make this post today! A few of our beautiful fall weddings this past year added a fun dessert element to their reception – S’more Bars! 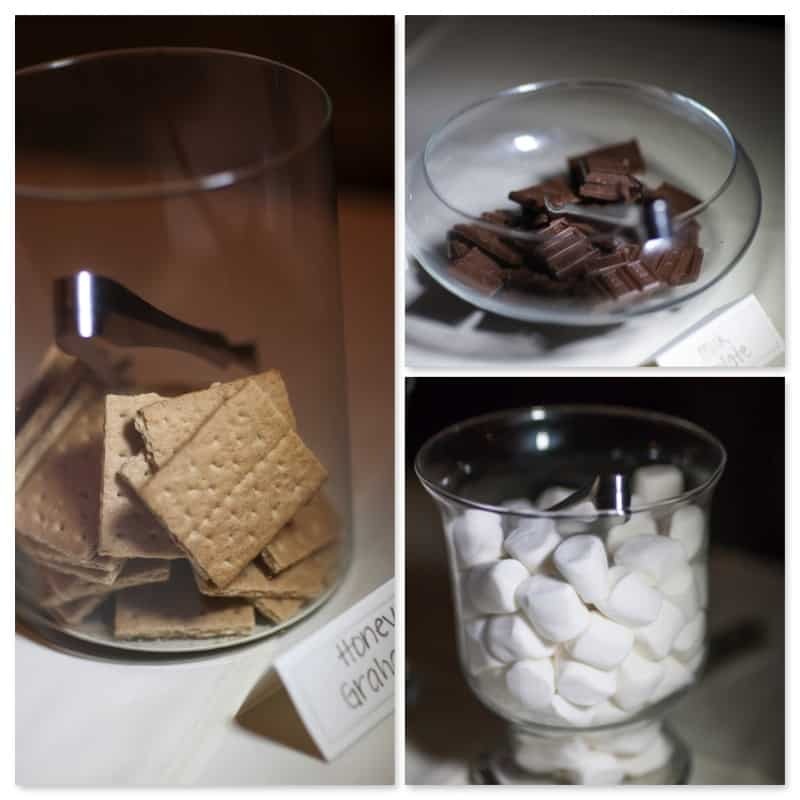 A buffet line full of a variety of graham crackers, chocolates and marshmallows added a wow-factor and gave guests a truly unique experience! It’s so fitting for our outdoor venue on a fall evening – who wouldn’t want to top it off with a homemade s’more? When we hosted our first wedding of the 2013 season, we witnessed (and loved!) 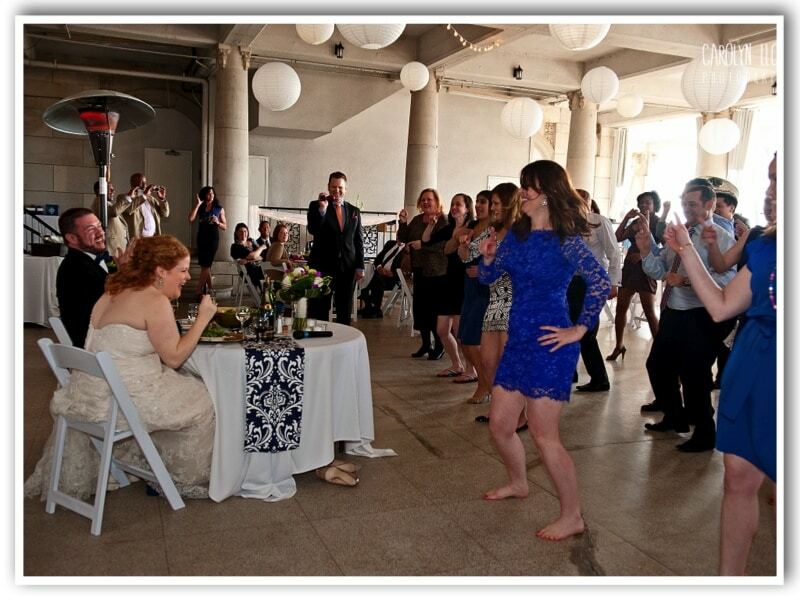 our first wedding guest flash mob! Throughout cocktail hour, small groups of guests would sneak off and teach others the stellar choreographed routine to perform in front of the new Mr. and Mrs. It occurred during dinner service – such an unexpected time of night! – and the look on Becky & Eric’s faces say it all! It was a great group of family and friends that helped them celebrate their wedding day! New debuts from Schades of Light! 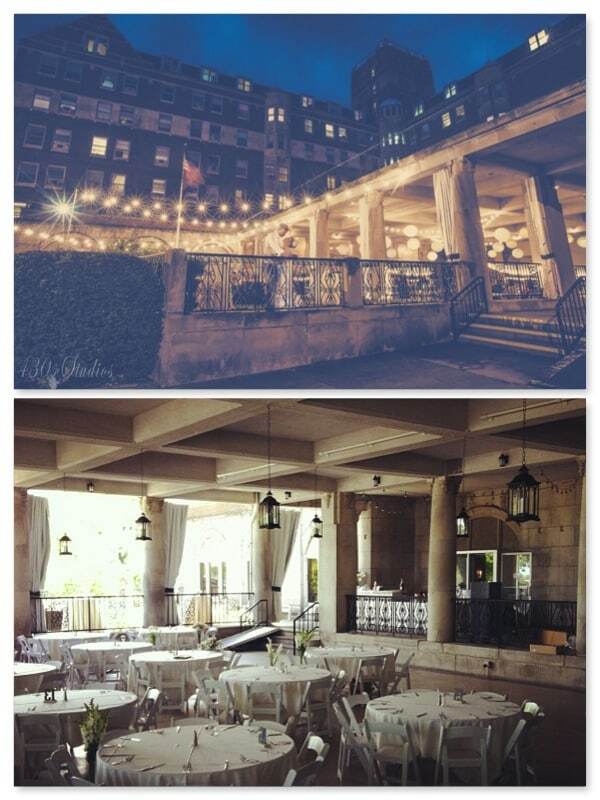 Anyone looking to do something different lighting-wise in The Veranda is something guaranteed to get our attention! To see new ideas come to life is an exciting time for not only the couple but for us and our close friends and lighting vendor, Schades of Light! In early spring, Lindsay & Elliott wanted to add a lighting element in our garden patio to add a touch of nighttime elegance for guests to enjoy during the reception. In addition, they had large black lanterns suspended from The Veranda’s sunken section to not only add lighting but also compliment the wrought iron that is showcased in The Veranda. How cool, right? Their wedding has become a source of inspiration for Schades of Light and couples for 2014 that want to recreate the same look in the space! 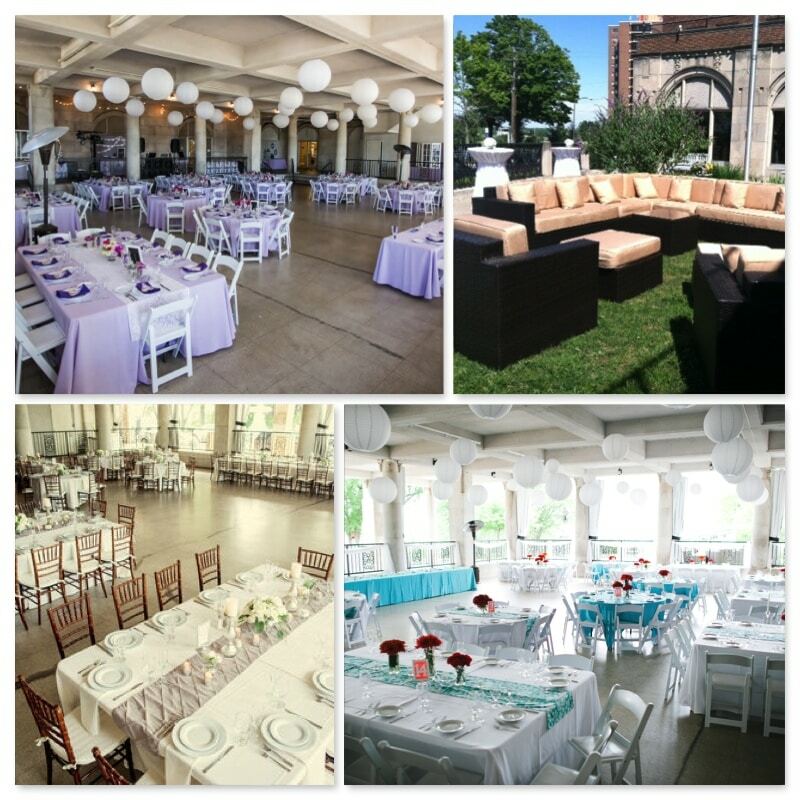 This year marked a number of our Veranda couples looking to make a statement by either embracing colors at the reception, adding chiavari chairs for an elegant look, and renting The Veranda’s lounge furniture for the garden area! What do you think? Weren’t their ideas a complete success? We love to push the boundaries here and see how versatile The Veranda can look – it’s such a blank canvas just waiting to be transformed! Yes, we have a sweet tooth and yes, we love to talk about cake! 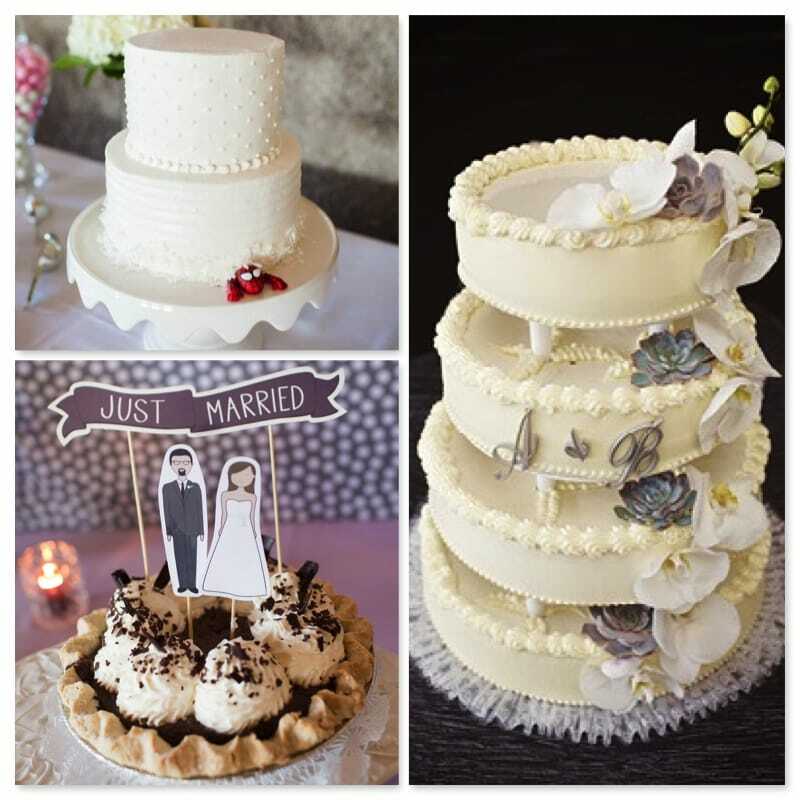 Fun and unexpected cake decorating details, four-tier cheesecake wedding cakes, and cake cutting pies instead of traditional cake! Had to share – and always love seeing the couples’ personality when it comes to the desserts. We love cake and of course we love food too! We’ve really enjoyed seeing the transition of new food trends at receptions – especially stationed food and the live interaction the caterers have with your guests. 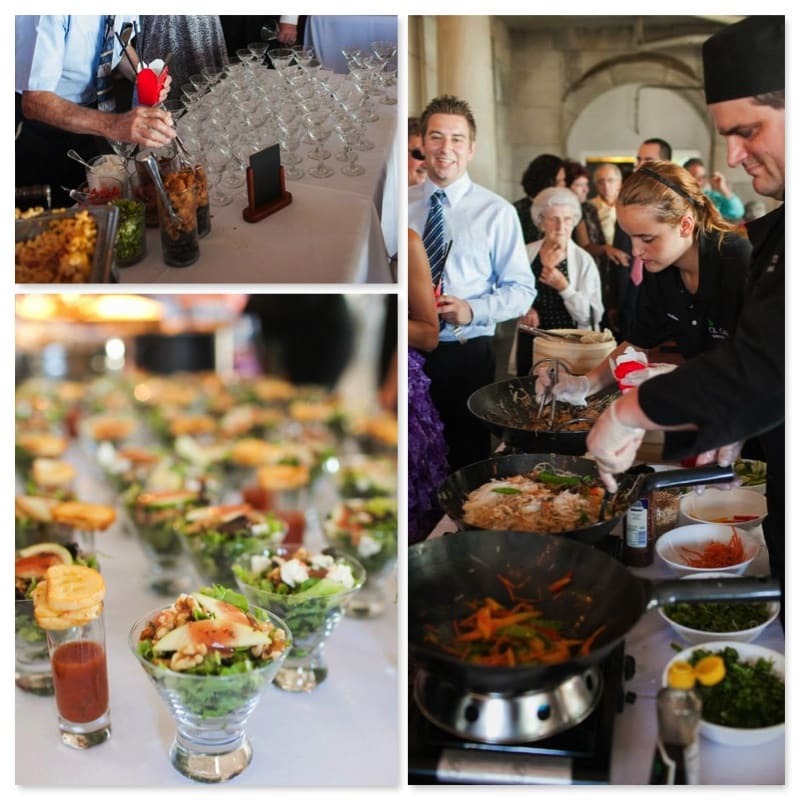 Below you’ll see CK Catering‘s mashed potato martini bar with all the fixins, pad thai station, as well as walkaway salads served in a cosmo glass. We look so forward to seeing our 2014 couples tie the knot and seeing who makes the list for our Love List 2014! Stay tuned!